Does Liquid Protectant Work for Vinyl Siding? The sun and vinyl siding don’t exactly have the best relationship. While vinyl is one of the more durable siding options around, sunshine is kind of like its krypton. Sun can cause fading and—in worst case scenarios—can even warp or melt siding right off your home. And then there’s rain. Moisture drying on your siding’s surface doesn’t exactly do it any favors, particularly if you’re located in a shady, humid location. Algae and mold growth take an ugly toll on siding, causing permanent stains. 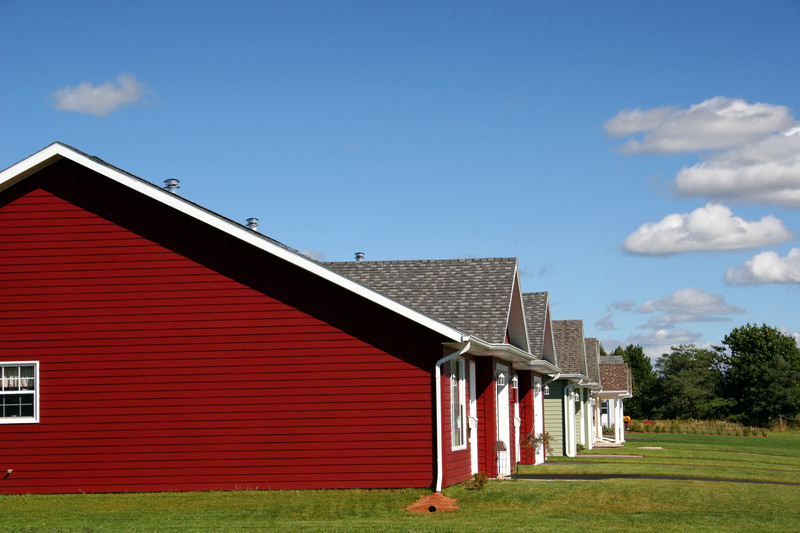 So is there any chance that your vinyl siding will ever get along with sun and rain? That’s the aim of liquid protectants, a commercial product that creates a clear coating over the vinyl, sealing it off from the elements. You’ve likely seen something similar for cars—supposedly, these protectants keep siding looking better and offer some UV protection as well as mold resistance. But you have to wonder, do they really work? Today, we’ll look at the protectant options available on the market and investigate how well they stand up to the job. Looking to buy new siding soon? A number of siding manufacturers now include fade resistance and UV protection directly in their product. In fact, many of these materials are made with titanium oxide, which is the same thing sunscreen manufacturers use to protect your skin. This chemical reflects UV rays, similar to how a white-colored object reflects light. Many companies also make their siding with more advanced dyes, so the resins don’t break down as quickly or as thoroughly. A good vendor will include fading in their warranty, and will offer to replace the siding if it’s over one Hunter unit, a standard the siding industry uses to measure fade. On the mildew front, there’s not a whole lot manufacturers can do to prevent it. But you can help your home dry faster after a rainstorm by cutting back tree growth that may be shading your siding. So, do they actually work? This is one of those things no one can exactly agree on, because there’s no clear expert opinion on the matter. But one product that consistently receives positive reviews is 303 Aerospace Protectant—a product that’s commonly used on cars. It’s silicone-based, and it seals vinyl to protect it from UV damage. You should be aware, though, that these reviews come mostly from homeowners and not building experts—so proceed with caution should you decide to use it. There are also a number of liquid protectants that bill themselves specifically for use on vinyl siding. These products offer some protection, although for the effort you’d have to put in to apply them to your home, you might want to think about painting the siding instead. You can repaint even older vinyl, but you’ll need to be careful about the color you choose—anything darker than your siding’s original color can potential cause siding damage. If you do decide to invest the effort in liquid protectant, we haven’t heard anything to suggest that these products will harm your siding, just that they’re a lot of work and they may not give you exactly the results advertised (i.e., the protection may be a little bit more modest than the bottle suggests). Protectant may contain some nasty chemicals, though, so take care not to get any on your lawn and don’t pour it down the drain when you’re done. Make sure to avoid products that contain alcohol or harsh abrasives—these can scratch the siding and cause more damage. There are some siding cleaning companies that will use wax wash—like what goes into car washes—on home exteriors, as well. These professionals believe that wax prevents mold and mildew buildup, and makes homes shine, too. These wax washes usually have a polyurethane base, and they’re applied while the cleaner is power washing your home. It’s never a good idea to power wash a home yourself, so if you’re interested in this option, your best bet is to hire a professional home cleaner that uses wax in their process. 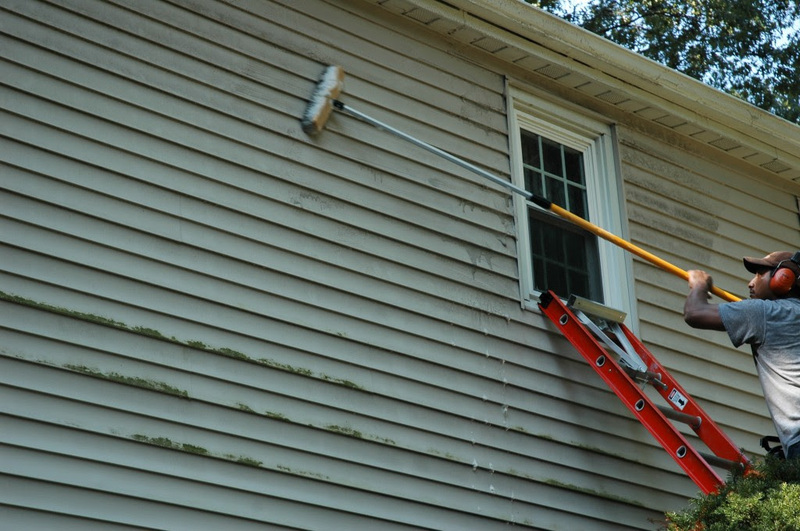 Cleaning your home’s siding frequently isn’t a bad idea, especially if you’re concerned about mold buildup. You don’t necessarily have to hire a professional service either—a long bristled brush and a hose can do the job for free. Use a mild cleanser, like dish soap. Never use harsh chemicals or commercial cleaners, since these can scratch or bleach your siding. If you keep things clean, your siding will sparkle like new—come sun or rain.